Dave has spent over 35 years in the automotive industry. His first experience in the world of Volkswagens began with the search for a used engine. He found one at a local wrecking yard and, soon after, became an employee of the yard. A couple of years later, he began rebuilding engines for another local business and continued to accumulate Volkswagen experience. In 1980, Dave opened his own Volkswagen repair and machine shop business in downtown San Jose. Five years later, he teamed up with Sharon and together they opened Peninsula Automotive. Dave spends his spare time enjoying golf, river rafting, and spending time with friends and family. Sharon began her automotive career in the automotive industry back in 1985 when she and Dave opened Peninsula Automotive. 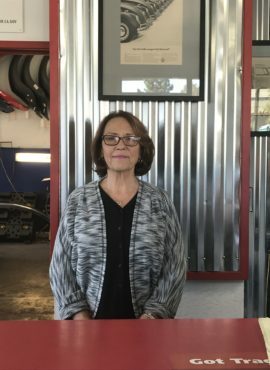 Her prior 13 years of experience in accounting, consumer leading, and business management helped contribute to the early success of Peninsula Automotive. Over the years, she has learned a great deal about Volkswagens and Audis, and has grown to love them as much as the rest of us. Today you will find Sharon assisting customers with their service and parts needs. Her responsibilities also include marketing, accounting, and inventory control. When she is not working, she enjoys gardening, dancing, and spending time with friends and family. Steve was a member of our team back in 1991. His employment history includes working for local Volkswagen and Audi dealerships for over 10 years as a service technician. We are pleased to welcome Steve back in August of 2017 as a Service Advisor. Steve was born and raised in Campbell where he and his family currently reside. Steve’s days off are spent with family and friends and is currently working on a 1961 Beetle with his son. 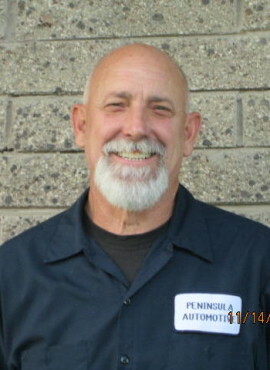 Mike joined Peninsula Automotive in 1998 as a factory trained service technician. 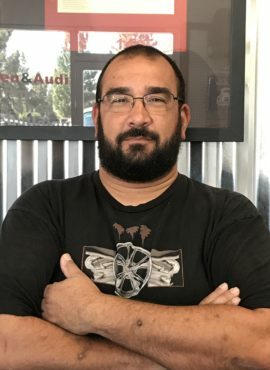 His employment history includes local Porsche, Audi, and VW dealerships and an independent service facility specializing in the repair of Audis. Mike stays updated on the latest technologies and currently holds ASE Master Technician Certification. Mike spends much of his spare time trading stocks and mutual funds. 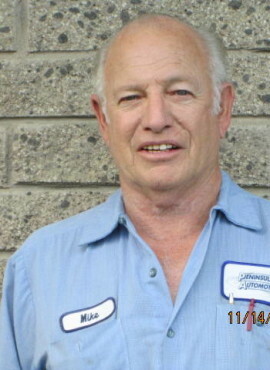 Mike has been with Peninsula since 2002. 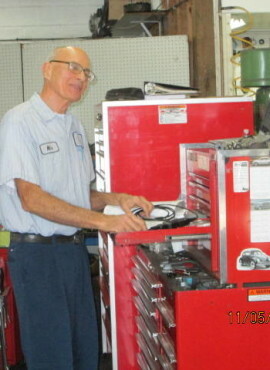 He is a service technician, engine builder, and machinist. 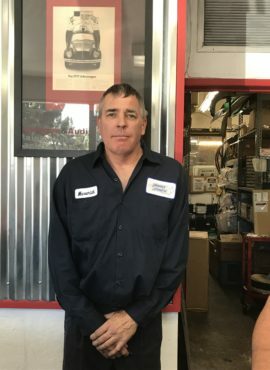 He has owned a Volkswagen repair garage and a machine shop offering over 35 years of knowledge and experience to our customers. Mike spends his off hours riding his three-wheel trike with his wife and enjoying other family and friends. We are happy to welcome Maverick to our team in May 2017. Maverick has had the pleasure of working in the automotive industry specializing in the repair and maintenance of Volkswagens and Porsche for over 40 years. Maverick spends his spare time riding his motorcycle and enjoying his family and friends.